An appeals court on Tuesday confirmed the acquittal of a French man accused of inciting racial hatred after posting an Internet video of himself burning a Koran and then urinating on it. 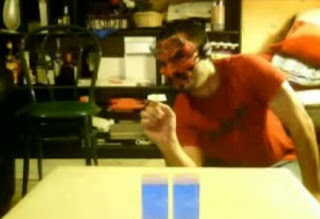 Ernesto Rojas Abbate was arrested in October 2010 after posting footage of himself wearing a devil mask and tearing pages from the Islamic holy book before setting it on fire and later urinating on it to extinguish the flames. The appeals court ruled that, while the video was "wilfully outrageous and deliberately provocative", there was no evidence Rojas Abbate had intended "to arouse feelings of hostility... aimed at provoking discrimination, hate, or violence towards Muslims." His lawyer, Renaud Bettcher, hailed the ruling, saying: "In a secular and republican society, it is incomprehensible that my client was prosecuted. Blasphemy does not exist in France."